The Supreme Court directed Kumar to appear before the CBI on Tuesday and "faithfully" cooperate in the investigation of cases arising out of the Saradha chit fund scam. 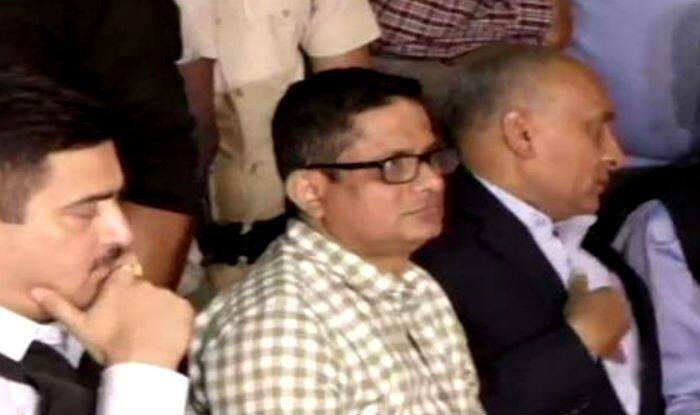 Shillong: Kolkata Police Commissioner Rajeev Kumar will be questioned for the fourth consecutive day by Central Bureau of Investigation (CBI) sleuths in the multi-crore Saradha chit fund case in Shillong. Kumar had been asked to report for questioning on Tuesday, an official said requesting anonymity. As per reports, Kumar maintained his composure throughout the grilling session on Monday. Reportedly, he claimed he had played no active role in the Special Investigating Team (SIT) that had been formed to probe the Saradha chit fund scam stating the majority of the investigation was conducted at the police station. He declared that Arnab Ghosh, the then deputy commissioner of police (DCP) of the detective department of the Bidhannagar City Police was supervising when the SIT started conducting the investigations into the chit fund scam. On Sunday, CBI sources, as quoted by news agency ANI, said that the proceedings were not being videographed by the probe agency. The development came after the Kolkata police chief insisted on the video recording of the questioning by the CBI ‘so that no allegations surface against him that he did not cooperate’. Reportedly, the questioning of former Trinamool Congress (TMC) lawmaker Kunal Ghosh was over, for the time being, the agency said. Ghosh was grilled in connection with the Ponzi scheme worth around Rs 2,000 crores. Ghosh arrived at the CBI office shortly after 10 AM while Kumar reached an hour later on Monday. Kumar left the CBI premises shortly after 7 PM last evening. The CBI is relying on a 91-page letter from Ghosh to the Enforcement Directorate (ED) which spoke about the role of Kumar in handling the ponzi scam probe after the main accused Sudipta Sen and Debjani Mukherjee, both promoters of Saradha group of companies, had fled to Kashmir, from where they were arrested in 2013.